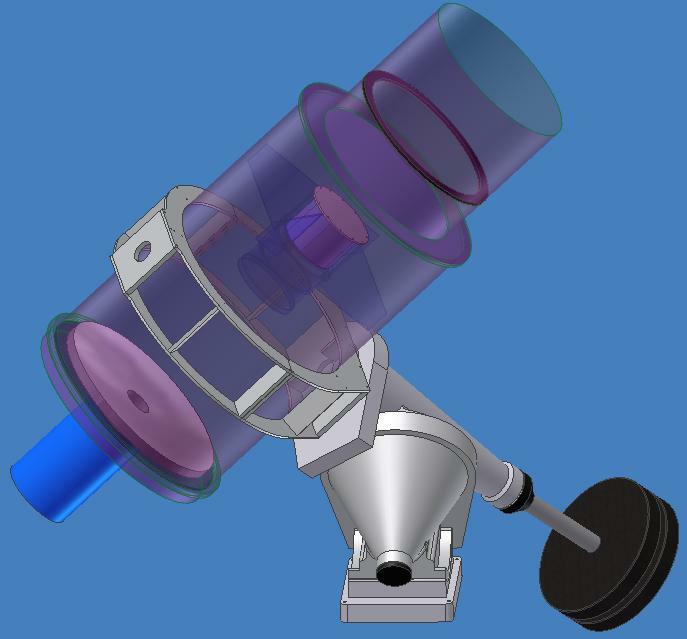 TELESCOPE: The ATLAS project has contracted with DFM Engineering to provide two 50cm aperture (about 20-inch diameter) telescopes. Their current specifications exceed the ATLAS survey requirements to detect faint asteroids while allowing the system to survey most of the night sky three times each night. By using these telescopes, ATLAS should be able to detect asteroids like the one which exploded over Chelyabinsk, Russia, in February 2013, several days in advance. PERSONNEL: Two Institute for Astronomy personnel: Jessica Young and Karl Uyehara have joined the ATLAS team and are proving invaluable in ensuring that ATLAS stays on-schedule and on-budget. PATHFINDER: The ATLAS team is working on a Pathfinder telescope to test the hardware and software being developed for the project. Pathfinder includes a 18cm (7-inch) mirror and a 16-megabyte CCD camera. Although this is considerably smaller than the ATLAS telescope, it will provide us with images that are ideal for testing the software we are developing to detect moving objects against background stars. The Pathfinder specifications enable it to survey about one quarter of the sky that ATLAS will cover and detect stars and asteroids that are about five times brighter. We have already upgraded an existing dome on Mauna Loa to enable remote operations from Manoa, and we expect the Pathfinder to be operational and finding real asteroids by early 2014. Small portion of a synthetic ATLAS image. SOFTWARE: We have made excellent progress with software development by using synthetic but realistic images created with SkyMaker. 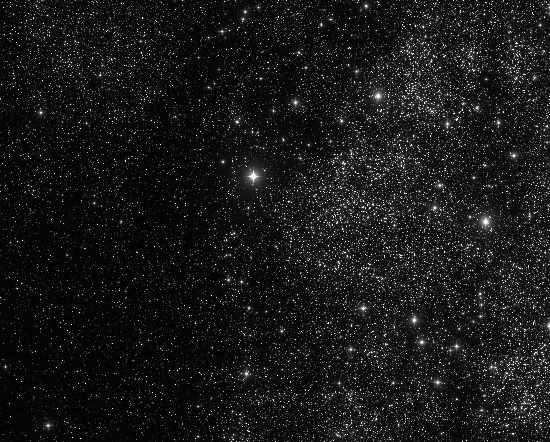 The images include stars at their actual sky locations based on the PPMXL catalog and real asteroids, moving from image-to-image, according to the catalog of orbits from the Minor Planet Center. The synthetic images are highly realistic except for omitting galaxies and nebulae. They enable us to test the software performance through each processing step because we know the location and brightness of everything in the images. The synthetic images are processed in the same way we will process real images and we have already managed to automatically find the synthetically generated asteroids! SITE & ENCLOSURE: We have not yet decided where we will locate the ATLAS units. Our preference is to keep ATLAS in Hawaii but Arizona sites remain under consideration. The disadvantages to Arizona include the distance from Honolulu and that several other successful asteroid surveys (including Catalina Sky Survey and Spacewatch) are already in operation near Tucson in southern Arizona. A Request For Information (RFI) was recently sent to several manufacturers of turn key observatory systems to identify vendors that can provide ATLAS with a mount, building and other auxiliary equipment. We hope that some responses will meet our needs and our budget. Please check out the ATLAS news archive and continue to check fallingstar.com for asteroid news and project updates. Thank you for your interest in ATLAS.